Your Passport with current VISA. Receipt for payment of SEVIS I-901 fee. Dependent documents, if your dependents have entered the U.S. with you. Check-In fulfill a requirement of your F-1 student status and allows us to report that you are maintaining student status. Feel free to contact JSU Global at (601) 979-1611 if you require additional information or have questions. All students are required to obtain a University issued photo identification card. For more information on the JSU ID Card Policy, please contact the JSU DPS at (601) 979-2580 or the Division of Student Life at (601) 979-2241 or click here. Each student is provided a mailbox, which is located in the J. R. Reddix Hall. All students who reside on campus are required to have a post office box. Click here for more information. Meet new people and make friends from around the world. The orientation is designed to acquaint international exchange, introduce students to campus resources, American customs and lifestyles, visa and immigration issues, the Jackson area, and other JSU students. Make plans to attend. Participation in the orientation program is required. 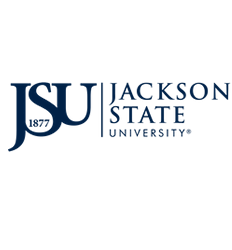 Jackson State University requires all international students and their dependents to have health insurance that includes repatriation and medical evacuation coverage. It is important to make every effort to be insured during your entire stay in the U.S. Purchasing appropriate insurance is the only way to protect against unforeseen medical bills. You are responsible for purchasing and sustaining suitable health insurance. Below are some companies listed for your convenience and consideration, note that the Jackson State University maintains no association, recommends or endorses any of the plans or companies. Choosing one of the companies/plans is the decision and responsibility of the student. Once you have obtained medical insurance submit proof of health insurance to JSU Global ISSS office. All students are required to have a chest x ray for tuberculosis. Jackson State University has partnered with Central Mississippi Health Services to offer students discounted rates of $75. Fees must be paid at the time of service and you MUST use Central Mississippi Health Services. Visit the JSU Health Service Center to schedule a time for your TB chest x-ray appointment. TB screenings from other schools or clinics are not accepted. All students are expected to come to the office and the beginning of each semester to update their I-20 (example: address, phone number, hours currently taken) to register their SEVIS record. Student must bring, passport, visa, I-94 and class schedule. An International Student Advisor will update the SEVIS record and issue a new I-20 form.